I recently received a question about Jesus’ words in Matthew 18:20, “For where two or three are gathered in my name, there am I among them” which I discussed in my book Sitting at the Feet of Rabbi Jesus, page 72. Many read this line as meaning that Jesus promises to be present when his followers gather to pray for something “in his name.” In my chapter I pointed out the importance of gathering in community. One reader pointed out that this verse is located within Jesus’ teaching about making a decision regarding a sinner (Matt. 18:15-20). The “two or three who are gathered” could be witnesses to an offense. Is it OK to apply this line more broadly, or should we stick to a narrow interpretation, that Jesus acts as a “witness” when we are making a decision in a trial? Note that this last line is about God’s Shekinah being present even when people are judging, reminiscent of Jesus’ words. The other quotations are about Torah study or prayer. These two ideas overlap, actually. 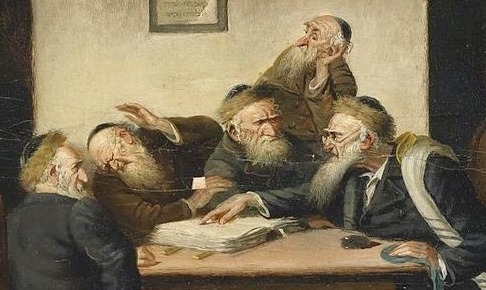 Rendering judgment requires a type of Scripture study, because rabbis were often asked to interpret the Torah in order to decide whether it had been broken or not. I don’t think this discussion was intended to be a hard-edged theological proof about where God present and where he is not. Rather, it seems to be a sermonic exhortation to study, pray and decide matters of Bible interpretation in the presence of others. 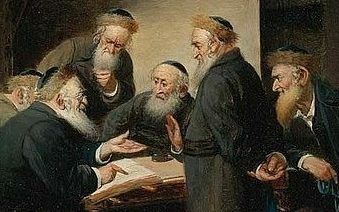 The rabbinic discussion may be related to the fact that ten adults (a “minyan”) were required for communal prayers to be prayed. The rabbi seems to be saying that this doesn’t necessarily mean that God is only present when ten people come together. It quotes Scriptures that point out many places where humans assembled and God is in their midst. The common denominator in all of these rabbinic statements is the presence of God being especially near when his people gather to meditate on how he wants them to live. This is really the central point of each line. Sometimes people are praying, but sometimes they are studying or judging a trial. 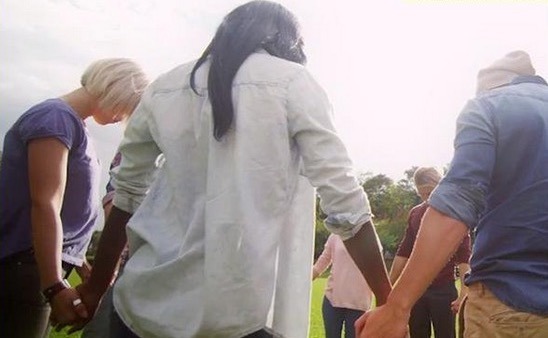 Jesus’ statement fits right in among them, and it sounds like his words about “two or three are gathered” have a similar intention, stressing the idea of gathering and praying as a group in order to discern his will. A Claim to Identity with God? It’s fascinating to notice that while the rabbis were talking about God’s presence being near, Jesus was talking about his own presence. This is really quite surprising. The rabbinic quotations above were recorded in Jewish literature after the time of Christ (200 – 500 AD). Because of the hostility between Christians and Jews, it’s unlikely that later rabbis would have been expanding on a statement that Jesus was known to have made. In every place where I cause my name to be remembered I will come to you and bless you. When you compare these two lines, it sounds like Jesus was equating his presence with the LORD’s. Christians hardly blink because we are used to reading this idea into Jesus’ words. To his original audience, however, it must have seemed quite galling, well beyond what was appropriate if Jesus was only a wise human teacher. What’s fascinating is that Jesus’ words become all the more startling when you’re familiar with related rabbinic sayings about the Shekinah, even though they come from a slightly later time. In the context of wider rabbinic thought, it sounds like Christ was hinting at identity with the God of Israel, and promising to personally reveal God’s will to all who earnestly seek him out. This is so very insightful! I continued to be amazed at Jesu’s teachings as he fulfilled what was said in the law and prophets. Thanks for sharing this great piece. Is your conclusion that the Talmudic Rabbis believe in a trinitarian Gd? Rivkah, your logic escapes me. The Hebrew Bible talks about the God’s “Spirit” in many places, speaks of God as “Father” and also records God’s promise to David that he would send his own Son to reign over Israel (and also the world.) 2 Samuel 7:14 says, “I will be his father and he will be my son.” The talmudic Rabbis didn’t believe that Jesus was the Messiah, and traditional Judaism doesn’t agree with the Christian idea of knitting Father, Son and Spirit into a Trinity. But the ideas of “Father, “Son,” and “Spirit” come from the Hebrew Scriptures that they do read. 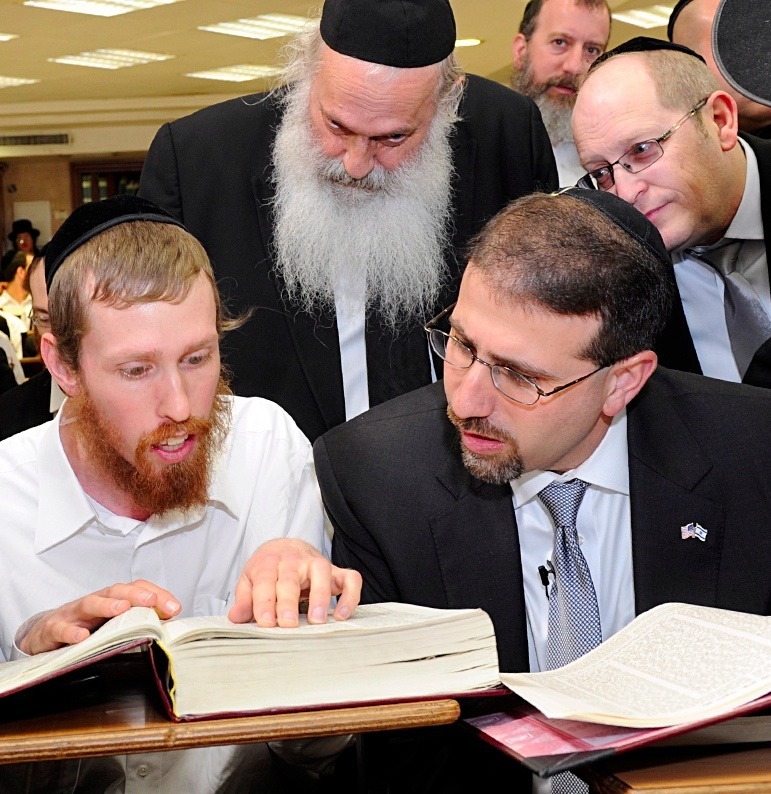 It shouldn’t be surprising that the rabbis talked about the “Shekinah” or God’s presence too.